When it comes to the Bond films, many fans would agree that the more faithful the films are to Fleming, the better they will be. And indeed, with screen adaptations like From Russia With Love, On Her Majesty’s Secret Service and Casino Royale proving to be both riveting and faithful entries to the franchise, this notion certainly has merit. Yet we’ve also seen 007 prevail well beyond the life of his creator, adapting and transforming with each passing era. Fleming may have envisioned James Bond as a flawed, somewhat idealized reflection of himself and former acquaintances, but cinema screens would immortalize the character in another guise; a win-at-all-costs superhero with a suave disposition and a Q-Branch trick up his sleeve. Goldfinger would exemplify this cinematic concept of Bond, building upon the source material without betraying it. But while most of the Bonds merely took liberties with the Fleming source materials, The Spy Who Loved Me didn’t have the same luxury. Following the departure of Harry Saltzman from EoN Productions, Cubby Broccoli set out to make Spy into a feature-length film with only a title to work from (Fleming disowned the original storyline said title was attributed to). This obstacle, compounded with the dismal failure of The Man with the Golden Gun three years prior, had cynics believing that the franchise was dead in the water. Fortunately, the finished result was not only a critical and commercial success, but one of the finest Bond films made. Spy is a Bond adventure chock-full of spectacle, with everything from a death-defying mountaintop freefall to a submersible Lotus Esprit, but the film itself is far from a vapid exercise in big-budget antics, nor is it a sterile translation from page to screen (unlike, say, Thunderball). It successfully merges the traditional Cold War awareness of From Russia With Love with the inventive, imaginative whimsy and pseudo-fantasy of Goldfinger. Few Bonds have truly achieved such a seamless combination. 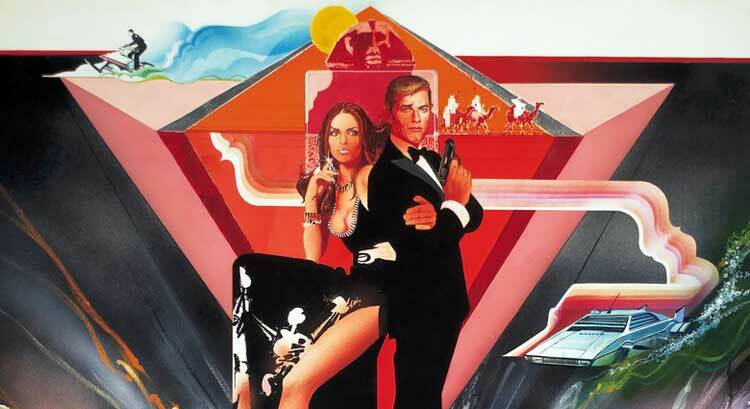 Though generally comfortable in the role of 007 since his Live and Let Die debut, Roger Moore was saddled with an ill-tempered and underwritten Bond in The Man with the Golden Gun; look no further than his initial treatment of Andrea Anders (Maud Adams) to understand why this screenplay doesn’t entirely mesh with Moore’s portrayal. Spy, on the other hand, marks the first instance where we see Roger Moore truly synchronized with the iconic screen hero. His Bond has the air of a gentleman, a razor-sharp wit, and a subdued toughness. Lethal when necessary, and more inclined to seduce a woman than twist her arm, this 007 is more sophisticated. It helps that Moore is given a great story to work with. Richard Maibaum and Christopher Wood would pen the final screenplay of The Spy Who Loved Me (with Bond veteran Tom Mankiewicz applying a few un-credited rewrites) and they craft a rousing adventure which has 007 sufficiently challenged throughout the film, whether he’s working alongside previous foes in the midst of a Russian détente, attempting to disarm a nuclear warhead by the skin of his teeth, grappling with a seven-foot killer in a speeding train car, or even being taken advantage of by his own sexist preconceptions. This screenplay keeps Bond well and truly on his toes. Perhaps the biggest challenge facing Bond this time around is his personal and professional involvement with Major Anya Amasova (Barbara Bach). Following the unfortunate treatment of women in films like Diamonds Are Forever and Golden Gun, where the leading ladies are dressed-down and acting clumsy by the final act, Spy introduced the first progressive Bond girl archetype of the 1970s with Anya Amasova; a capable, competitive, and highly skilled Russian secret agent working alongside Bond as they attempt to prevent World War III. Moore and Bach have great chemistry, and the result is a compelling relationship that even goes as far as to make Bond vulnerable at times, best demonstrated by one particular scene which has the usually-dapper 007 reflecting upon the grim reality of his profession (“In our business, Anya, people get killed. We both know that.”). At its best, Spy recalls a certain tonal sincerity the likes of which were absent in the series since On Her Majesty’s Secret Service. Even the weakest link of The Spy Who Loved Me, the villainous Karl Stromberg (Curd Jürgens), is something of a blessing in disguise – at least from the perspective of set design. Stromberg, with his melodramatic enunciation and webbed fingers, is far from the greatest foe that Bond has ever faced. I’ve said before that he could easily be a foil for Adam West and Burt Ward in an episode of “Batman”; Ernst Stavro Blofeld by way of The Penguin. Yet the grand-scale nature of his plot and the character’s copious wealth allow for some of the most visually striking sets ever conceived in a Bond film. Spy marks an impressive debut for the Pinewood Studios 007 Stage, where set designer Ken Adam pulls out all the stops in designing some of his most gorgeous architecture, including the Atlantis sea rig and infamous Liparus supertanker (stage-lit with the assistance of one Stanley Kubrick). With the planet on the brink of a Third World War, such a high-stakes situation would deserve nothing less than tremendous scale, and Spy is the first Bond film where the ramifications of the plot feel directly proportional to the gargantuan scale of the film itself. On nearly every level, The Spy Who Loved Me is a technical achievement. Lewis Gilbert, who previously worked on You Only Live Twice, lends a similar visual authenticity and exotic allure to Spy with his gorgeous panoramas. Derek Meddings offers incredible visual effects, with the biggest highlight of all being the underwater conversion of the Lotus Esprit submarine, and this would pave the way for even bigger VFX heights with Moonraker. Last but not least, composer Marvin Hamlisch provides an outstanding score; from the pulsating disco strains of “Bond 77” to the more whimsical “Ride to Atlantis”, the soundtrack of Spy is a product of its time that still holds up remarkably well. And let’s not forget the theme song, “Nobody Does it Better,” which is something of a gem. Performed by Carly Simon, this unconventional title track perfectly summarizes the mass appeal of the cinematic Bond as it accompanies a wonderful Maurice Binder opening credits sequence. 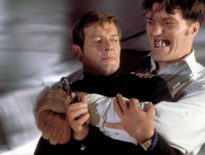 The Spy Who Loved Me was a film I caught in fragments at a young age; mostly, I remember feeling a sense of impatience anytime Jaws (Richard Kiel) wasn’t onscreen. But with every repeat viewing, the film gets better and better. Spy demonstrates that crafting a completely original Bond adventure, which branches away from Fleming while retaining the essentials, can result in one of the finest Bond films ever made.